Learn more about Spaghetti Chair White from Serkan Özkaya. 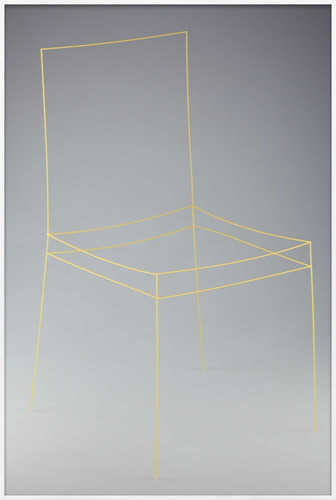 Made in collaboration with architect, George L. Legendre, using 3D computer models and mathematical formulas, Serkan's work depicts 15 sticks of spaghetti assembled into a straight-backed, four-legged chair. Is it a symbol of ordinary use, dignity or authority?